COBURG has its sights set on a strong finish to the Victorian Football League season as it looks to create a springboard into its second pre-season as a stand-alone side under coach Peter German. The Lions still have just three wins to their name but see the last month of the season as a prime opportunity to add to their tally of victories. A home match against North Ballarat kicks off the run home this Sunday ­before the Lions round out the season with clashes against Sandringham, Frankston and Casey. 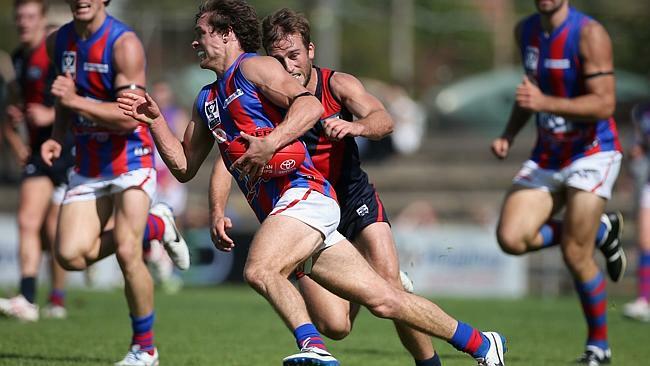 “The last four games are all winnable,” Coburg ­general manager Craig Lees said. REWIND to August last year. Coburg Football Club had just played its last game of the 2013 season in the VFL, marking the end of a 12-year alignment with AFL club Richmond. The Lions were yet to name a coach for 2014, had some stability issues off the field and many in VFL circles raised the possibility they might not see out one season as a stand-alone club. But amid the bleak forecast, the man who has been considered the heart and soul of the club over recent years — courageous captain Nick Carnell — was the first Coburg player to sign a new contract with the club and did so without hesitation. Like every year there were offers to go elsewhere, but the ever-loyal Carnell never seriously considered leaving. 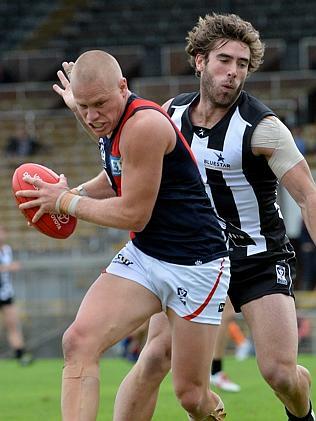 A LAST quarter fade-out saw Coburg suffer a hefty loss to Port Melbourne in the opening round of the 2014 VFL season on Saturday. In their first stand-alone match since ending an 11-year alignment with Richmond, the young Lions side were brave for three quarters but succumbed to a more experienced Boroughs outfit in the end as they eventually went down by 73 points. While the final scoreboard of 19.15 (129) to 8.8 (56) suggests a lopsided affair, Coburg had been remarkably competitive in the opening three quarters at Piranha Park. After a Matthew Clark goal at the six-minute-mark of the third term, the Lions trailed by just a point as they took it right up to a side which played off in a semi-final last year. COBURG Football Club will welcome bumped senior coach Adam Potter back to the top job in 2014. Coburg president Bill Balakis said Potter, who has been advised he will not be senior coach in 2013 when AFL affiliate Richmond takes control of the coaching structure, has been offered the job as Development League coach in the interim. Coburg and Richmond will end its alignment at the end of next season, with Richmond to field an independant reserves team in the VFL in 2014 and Coburg to stand on its own in the state league. Balakis has previously stated the decision to demote Potter from the senior job was due to "financial constraints", but on Sunday told Leader the club had offered Potter the senior position in 2014 after a year in a lesser role. "If he doesn't take the development role, there will be a position available for him," Balakis said. "He's been offered the senior job (in a year's time) as well." COBURG legend Phil Cleary has condemned the club's decision to bump senior coach Adam Potter to a development role next year. In his Inside Football column last Wednesday, Cleary said the VFL club would be coached by a Richmond identity for the last year of Coburg's alignment with the AFL Tigers and Potter had been offered the Development League coach's role. The AFL club and its VFL affiliate originally planned to maintain their alignment until the end of 2014, but have mutually agreed to bring forward the termination of the agreement. 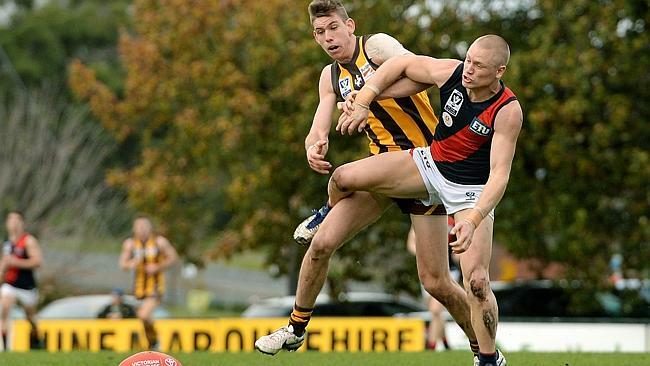 Richmond will field a stand-alone side in the VFL in 2014, following the likes of Collingwood and Geelong, while Coburg will again stand on its own in the state competition and revert back to the Lions.